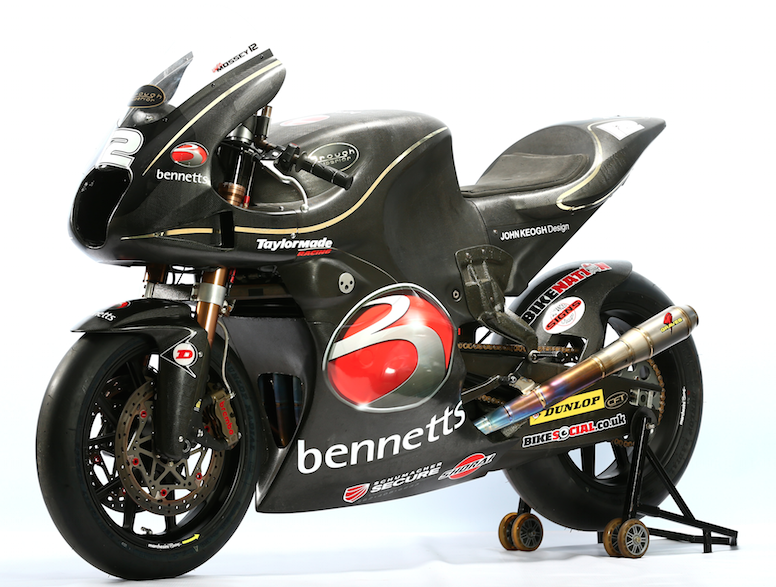 Bennetts Brough Superior will race at British GP. Getting motorcyclists interested in insurance is no easy task. Hats off to Bennetts for backing a British team with this one. Here’s the press release in full. Bike insurance specialists Bennetts are backing the return of the iconic British Brough Superior brand by sponsoring the reborn marque’s one-off entry into the British Grand Prix at Silverstone next month. 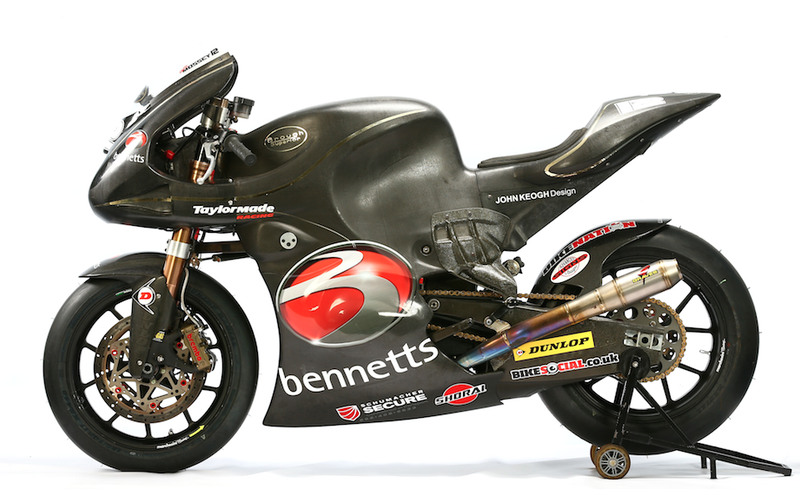 Bennetts Brough Superior, as the team will be known, will enter the Moto2 class with rider Luke Mossey competing on board the team’s innovative British-designed carbon fibre Carbon 2 machine. The project is headed by California-based Brits Paul Taylor and John Keogh, who are running the team on behalf of the soon-to-be relaunched Brough Superior brand. The bike, which has won national level races in the United States, features a unique carbon fibre monocoque design and has received input from famed Formula One engineers John McQuilliam and Steve Nichols. Like all bikes on the Moto2 grid, the Brough Superior will be powered by the standard specification 600cc four-cylinder Honda engine. Dubbed the ‘Rolls Royce of motorcycles’ Brough Superiors were rare and expensive machines during their 20 year production run from 1920. Famous for their association with Lawrence of Arabia, Broughs acheived numerous race wins and speed records in the 1920s and 1930s. The brand was bought by British engineer Mark Upham in 2013 and the company has plans to sell its new SS100 model early next year, the first new motorcycles to go on sale wearing the famous name in 75 years. Mossey, a front runner in the British Supersport championships, has already tested the bike in America, before giving the Carbon 2 a first run out on British soil at Silverstone yesterday. The team is planning to undergo one further test, before making its world championship debut at the Northamptonshire circuit on the weekend of 29-31 August. It might not make you want to renew your insurance, but it does make us want to do massive skids.